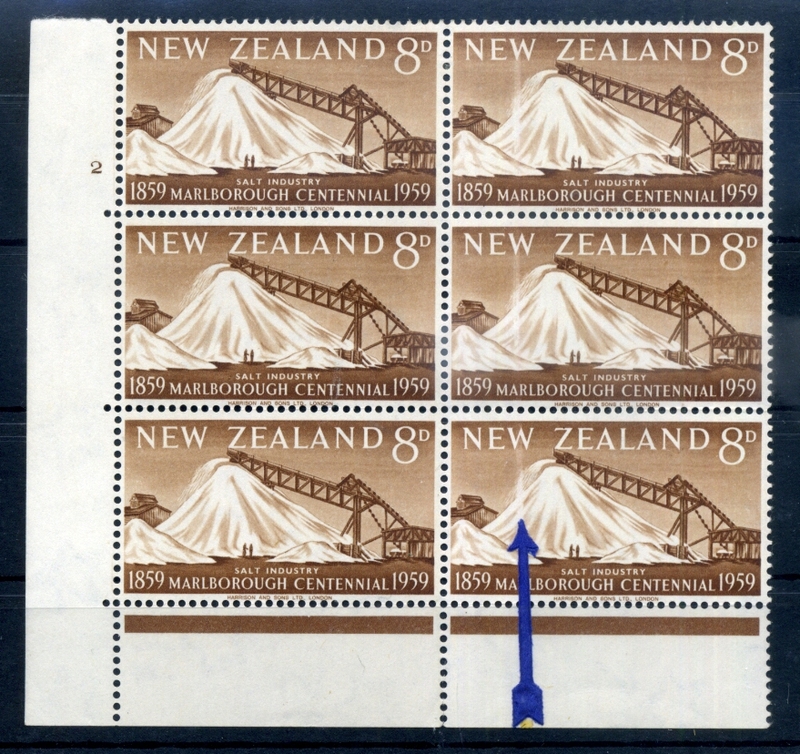 Virtual New Zealand Stamps: 1959 Anniversaries. The 1959 Anniversaries are actually three separate issues that appeared during the first part of the year. We have decided to combine them into one post including the issue date under the title of each issue. 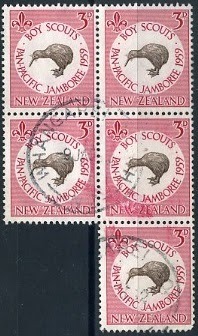 First is the 1959 Boy Scouts Pan-Pacific Jamboree, a one stamp issue marking the large jamboree held in Auckland. The second issue is a three stamp set celebrating the Marlborough Centennial. 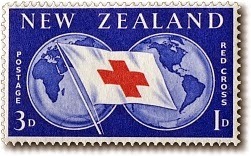 Finally we have another one stamp issue marking 100 years from the idea for the establishing of the Red Cross. We have also included covers and First Day Covers, printing and perforation flaws as well. 1959 Boy Scouts Pan-Pacific Jamboree. 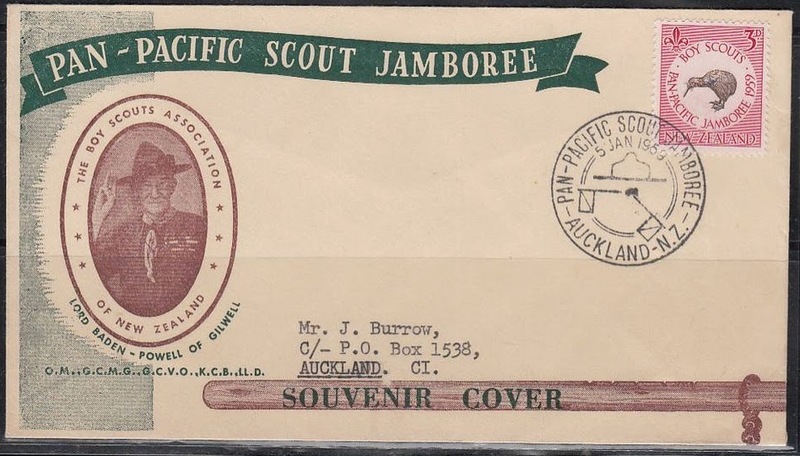 A Boy Scouts Association Pan-Pacific Jamboree was held in New Zealand during December 1958 and January 1959. More than 8,000 Boy Scouts from New Zealand and from overseas assembled at Cornwall Park, Auckland making the Jamboree the then largest youth gathering ever held in New Zealand. A post office was set up on the grounds of the Jamboree selling souvenir envelopes with profits going towards the Jamboree funds. 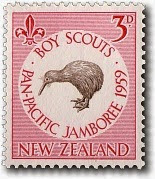 The Jamboree stamp is a two colour design, depicting a brown kiwi surrounded by a border in rose red. 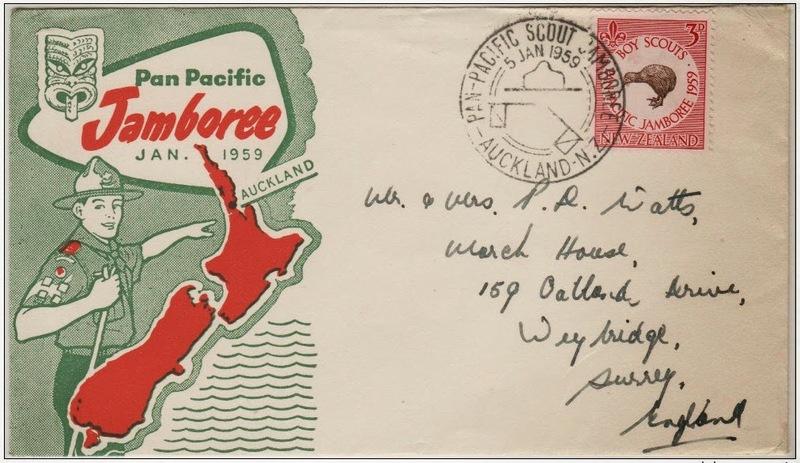 The kiwi is encircled with the words BOY SCOUTS PAN-PACIFIC JAMBOREE 1959 along with the official Jamboree badge. 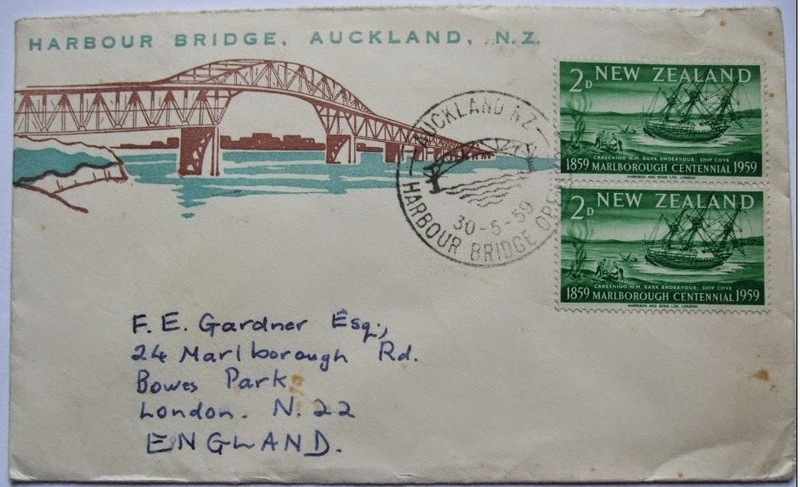 Two First Day Covers both post marked 5th Jan, 1959. The one above shows a boy scout pointing at Auckland, New Zealand. The cover below shows Lord Baden Powell, the founder of the Boy Scout Association. 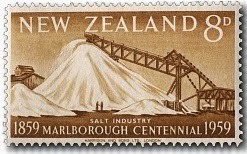 In collaboration with the Historical Society of Marlborough, it was decided that the stamps should depict unique features from the Province, including Captain Cook's landing at Ship Cove in 1769; the salt works at Blenheim; and the wool industry of the region. The careening (clean and repair) of Captain James Cook's 'Endeavour' at Ship Cove in Queen Charlotte Sound, 1769 during his first visit to New Zealand. 3d - Loading Wool at the Wairau Bar. 8d - The Salt Works at Lake Grassmere. 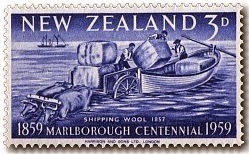 1959 Marlborough Cent 3d - Loading Wool. A corner block of 6 stamps with a paper perf fold in the bottom left selvage. 1959 Marlborough Cent 8d - The Salt Works. 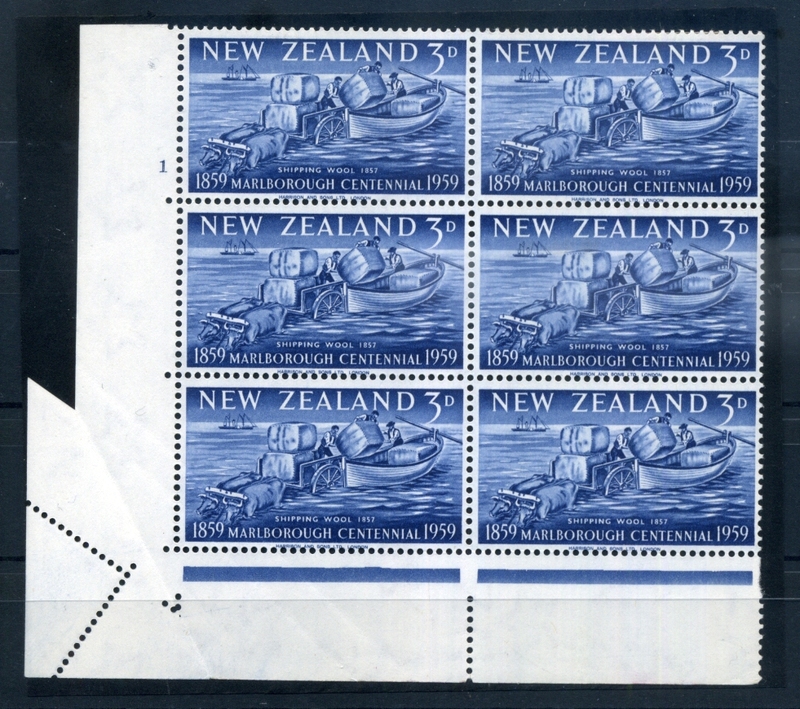 A corner block of 6 stamps with a clear Dr Blade flaw running vertically through design. It effects all three stamps of the second column. 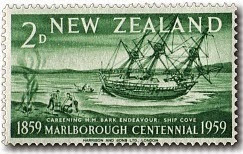 1959 Marlborough Cent 2d - Cook's Endeavour. A sheet corner block of 6 stamps with Dr Blade flaw running vertically through the second column. It is best seen in the top selvage. 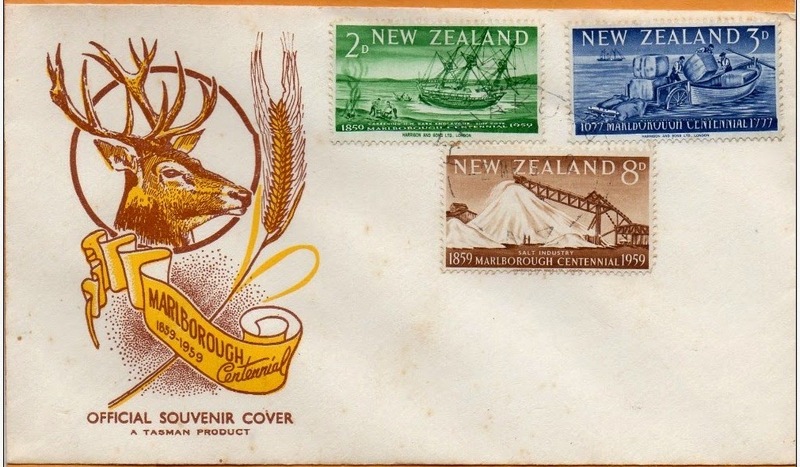 Two covers marking the Marlborough Centennial. The one above shows just the official printed cover. Normally we would not include an unaddressed cover when a used addressed one is available but in this case the cover shows the use of gold colour in the design. Below is a cover of the same design but is printed using only the brown. In this case the clear date on the postal cancelation (2nd March, 1959) tells us this is a First Day Cover. Notice the typing at the top 'Compliments of DOMINION SALT LIMITED' the company that owned and ran the salt works shown on the 3d value. 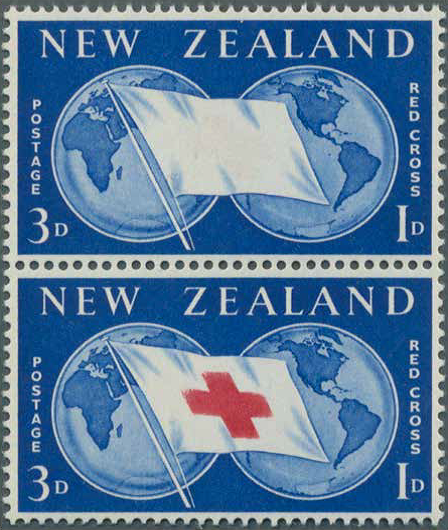 1959 Red Cross Concept Centenary. 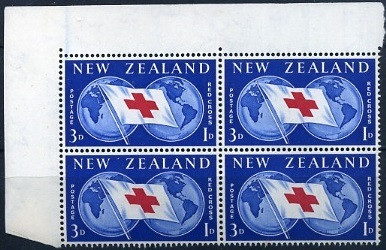 While other countries issued commemorative Red Cross Centenary issues in 1963, New Zealand issued a commemorative marking the centenary of the birth of the idea of the Red Cross four years earlier with a charity stamp that donated one penny to the Red Cross. 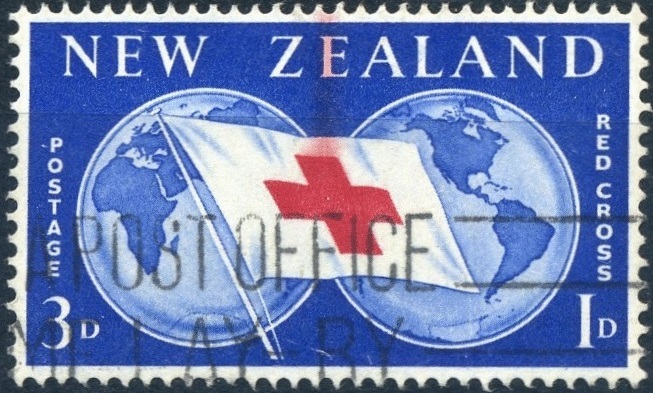 The reason for this was fairly straightforward - in 1959 the Red Cross needed funds urgently and used considerable political pressure to get permission for the stamp approved. 3d + 1d - World Map and Red Cross Flag. Notice that this is a charity stamp with 3d going to postage and 1d going to the Red Cross. 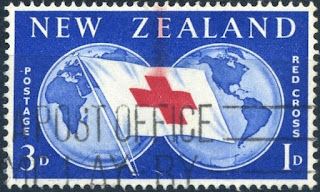 The design shows a map of the world and the Red Cross flag. 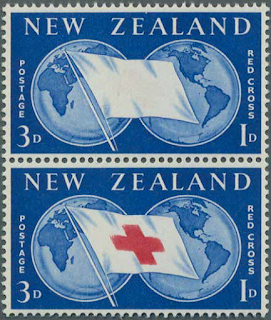 The pair on the left shows a Red Cross stamp without a red cross. It appears that these two stamps came from the same sheet, if in fact this is the case then the red cross is completely missing from the printing plate. The right hand stamp show a red ink run and smudge caused by too much ink being applied during printing. In June 1859, the Swiss businessman Henry Dunant traveled to Italy to meet French emperor Napoléon III with the intention of discussing difficulties conducting business in Algeria. When he arrived in the small town of Solferino on the evening of June 24, he witnessed the Battle of Solferino, an engagement in the Austro-Sardinian War. In a single day, about 40,000 soldiers on both sides died or were left wounded on the field. Henry Dunant was shocked by the terrible aftermath of the battle, the suffering of the wounded soldiers, and the near-total lack of medical attendance and basic care. He completely abandoned the original intent of his trip and for several days devoted himself to helping with the treatment and care of the wounded. He organised an overwhelming level of relief assistance by motivating the local population to aid without discrimination. Back in his home in Geneva, Henry Dunant decided to write a book about his experiences which he published and sent copies to leading political and military figures throughout Europe. In addition to recounting his experiences, he advocated the formation of national voluntary relief organisations to help nurse wounded soldiers in the case of war. He also called for international treaties to guarantee the protection of neutral medics and field hospitals for soldiers wounded on the battlefield. The International Red Cross and Red Crescent Movement, founded in 1863, is an international humanitarian movement whose stated mission is to protect human life and health, to ensure respect for the human being, and to prevent and alleviate human suffering, without any discrimination based on nationality, race, religious beliefs, class or political opinions. The movement consists of several distinct but affiliated organisations that are legally independent from each other, but are united within the Movement through common basic principles, objectives, symbols, statutes, and governing organs. Technical information 1959 Boy Scout. 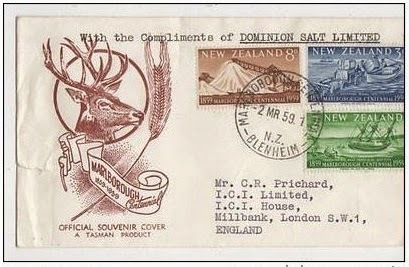 Technical information 1959 Marlborough Centennial. Technical information 1959 Red Cross.